What do you do if you're an independent musician who wants to promote your music to radio - but terrestrial radio stations playing your style of music are almost non-existent? If you're solo pianist and composer David Nevue, you start your own radio station. And that's just what he did. 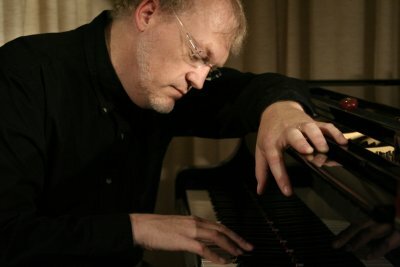 Nevue launched Whisperings: Solo Piano Radio on August 1st, 2003 as a vehicle for promoting his own particular flavor of piano music. In the beginning, he invited a few of his pianist friends to join him on the broadcast. He then sought out other like-minded pianists on sites like CD Baby. Before long, Nevue stopped looking because CD submissions for his Whisperings radio broadcast were pouring in from all over the world. Now, after fifteen years "on the air," Whisperings: Solo Piano Radio is home to over 340 talented piano artists and broadcasts to tens of thousands of piano music fans from all over the world every day. "I always believed the market for solo piano music had never been fully realized," Nevue says. "The thing about piano music is, almost everyone appreciates it, regardless of age or culture. Everyone loves a good melody, and no instrument inspires quite as much emotion as the piano does when played with skill and grace." Even so, no matter how skillfully an artist plays the piano, it's difficult to establish a full-time professional career in the music industry. Whisperings: Solo Piano Radio founder David Nevue. "The attitude of the music industry toward solo piano music is that there's no worthwhile market for it," Nevue says. "In an industry where anything less than a million units sold is considered an utter failure, piano artists can't compete. Ask any pianist trying to make a living from his or her artistry and they will tell you - it's nearly impossible to 'break out' beyond doing the local gig." And Nevue makes a good point. Aside from George Winston, Jim Brickman, David Lanz and Yanni, how many contemporary pianists can the average person name? And yet, there are arguably more piano players in the world than just about any other instrument. That's where David's vision for the Whisperings project comes in. "I see Whisperings as a vehicle by which we can reinsert piano music back into pop culture. People are listening at their jobs, in their homes, and now on the road with their mobile devices. Whisperings: Solo Piano Radio is becoming the soundtrack for their lives. And these folks are buying music - not only CDs (and streaming), but sheet music - and are playing it too. The feedback we are getting from listeners is amazing and inspiring." Nevue's plan from the start was that Whisperings become more than just an Internet radio station. He wanted it to become an interactive community of involved artists that shared resources, advice, encouragement and performance opportunities. And that is exactly what has happened. Pianists from all over the world are banding together to help one another. The most visible evidence of this happens at Whisperings piano concerts, where three or four Whisperings pianists come together to share music and the stories behind their music with eager audiences. Each year, dozens of Whisperings artists gather for the annual Whisperings Solo Piano All-Star Concert Weekend, where 30 artists perform across two shows and the "Whisperings Album of the Year" trophy is awarded. For many of the artists on Whisperings, the piano concert series gives them a rare opportunity to perform for fans. "One of the most satisfying things about Whisperings radio," Nevue says, "is that I have been able to create an avenue for other pianists to both perform and have their music heard. For most of our artists, Whisperings is one of the few broadcasts that will feature their music and for some of them, playing a Whisperings concert was the first time they had an opportunity to participate in a major concert event." Whisperings Radio continues to grow in popularity with listeners. Nevue says. "My hope is that someday, Whisperings artists will be able to play a concert virtually anywhere and be able to sell out venues just because it's a Whisperings sponsored event. "When people hear Whisperings, I want the first thing that comes to mind to be our broadcast and the quality piano music we play." If you would like to help support Whisperings: Solo Piano Radio, please sign up for Whisperings PureStream, our commercial-fee subscription based stream. And if you are a solo piano artist interested in submitting your music for consideration, read this.